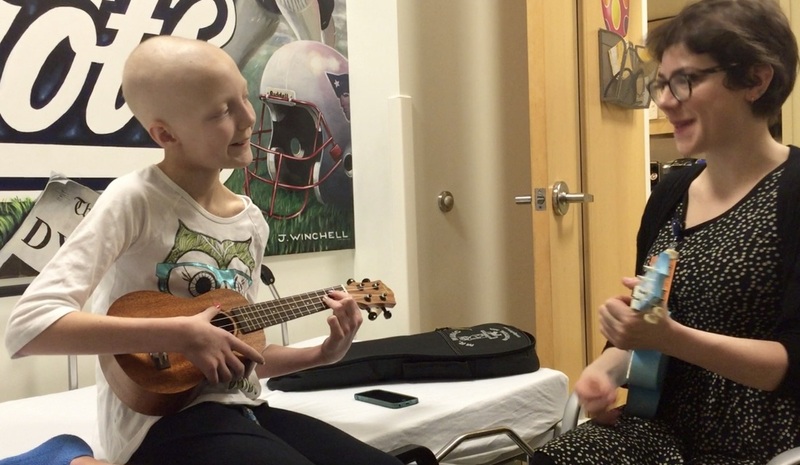 Music therapy is about harnessing the power of music to heal, encourage, comfort, and empower. It can improve the quality of life for individuals who are well, and enhance well-being in children and adults with disabilities or illnesses. Katya is a board certified music therapist (MT-BC) in the USA, and is registered by the Health and Care Professions Council (HCPC) in the UK. She is a certified Neurologic Music Therapist (NMT) and MATADOC assessor, and has completed additional music therapy training to work in Neonatal Intensive Care. If you'd like to know more, do get in touch: emailingkatya@gmail.com. Available for everyone - no musical 'skill' required! Lowering blood pressure, heart rate and/or breathing rates. Reducing anxiety & improving quality of life. Katya works at Great Ormond Street Hospital for Children, and is a member of the Chiltern Music Therapy team. Prior to this she worked on the Trauma and Neuroscience wards at The Royal London Hospital, and at Massachusetts General Hospital, providing group and individual music therapy for patients across the lifespan, and with diverse needs, including psychiatric diagnoses, profound developmental disabilities, cognitive challenges, and highly complex social histories. 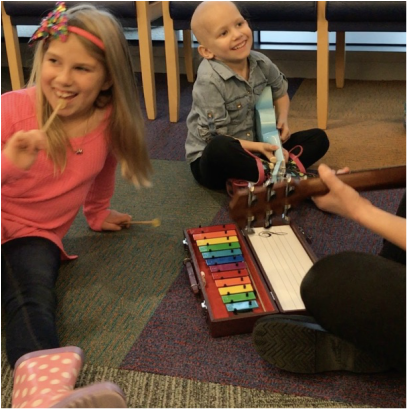 ​She takes great pride in demonstrating how music can provide opportunities for meaningful connection, creative expression, and joyful shared experiences, whilst using robust, evidence-based protocols to advance patient progress. 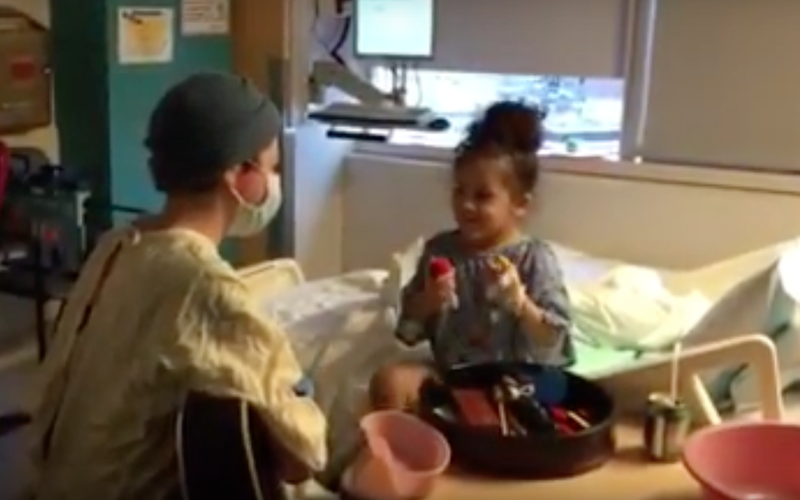 Music Therapy in the Paediatric Intensive Care Unit at Massachusetts General Hospital. One of Katya's most treasured possessions: a card from her music therapy group at the Kennedy Day School, at Franciscan Hospital for Children. 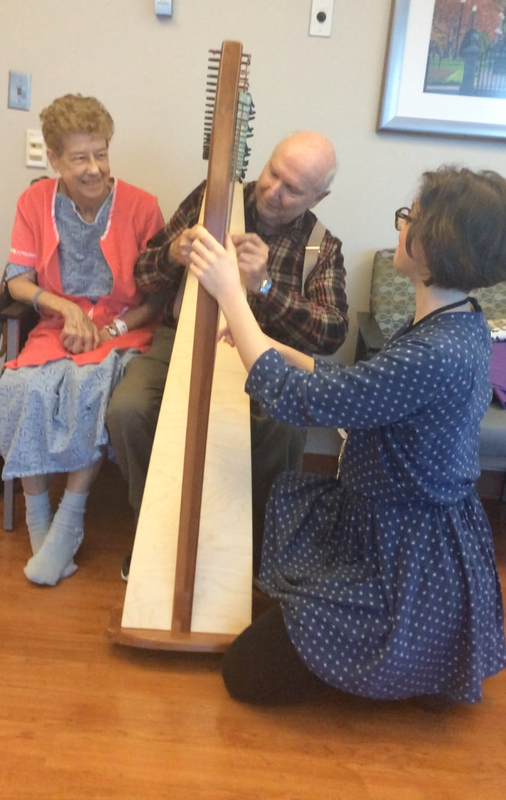 An intergenerational music therapy project in service of the Fenway community. Hosted by Operation P.E.A.C.E. and the Peterborough Senior Centre. Music Therapy at Pardada Pardadi - a school for girls, & centre for female empowerment in rural India.